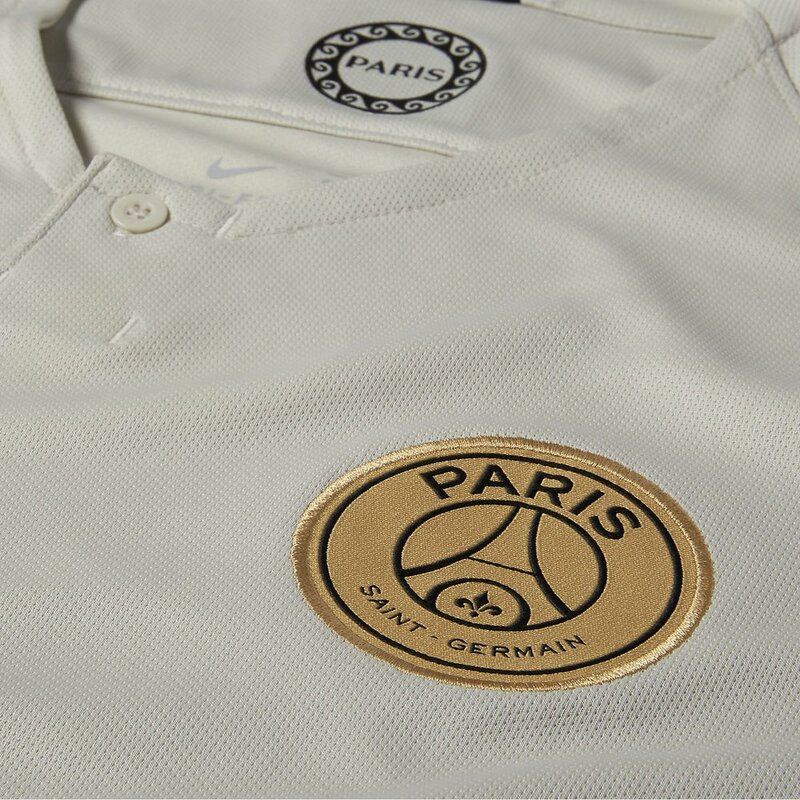 PSG away Light Bone, woven crest and flexible side strips expand to move with the player and ventilation. 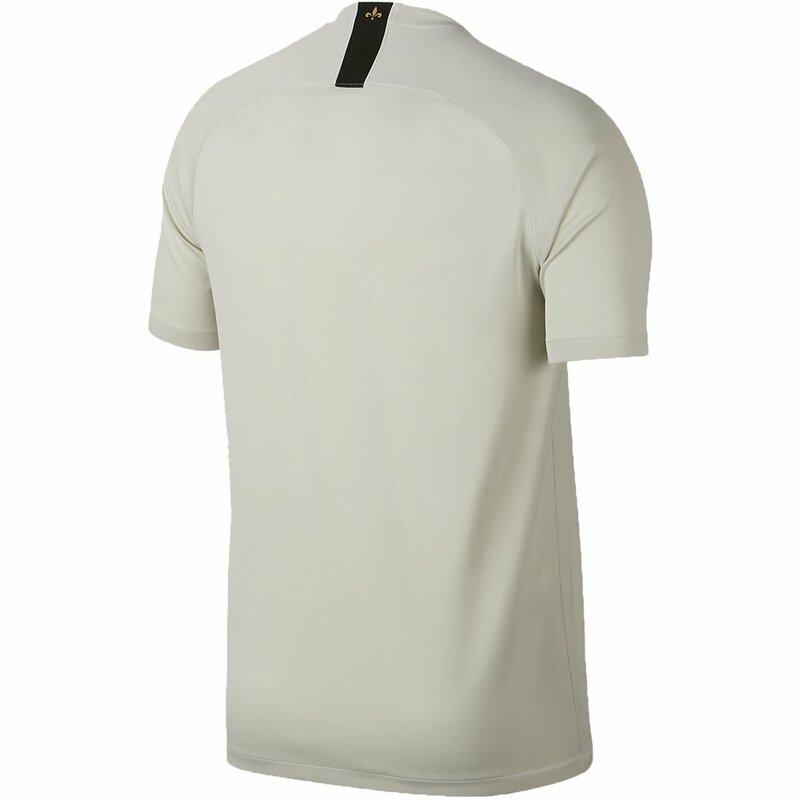 Inside of the neckline is taped for comfort, and Paris on the back of the neck. Fly Emirates Sponsor logo for an authentic look. 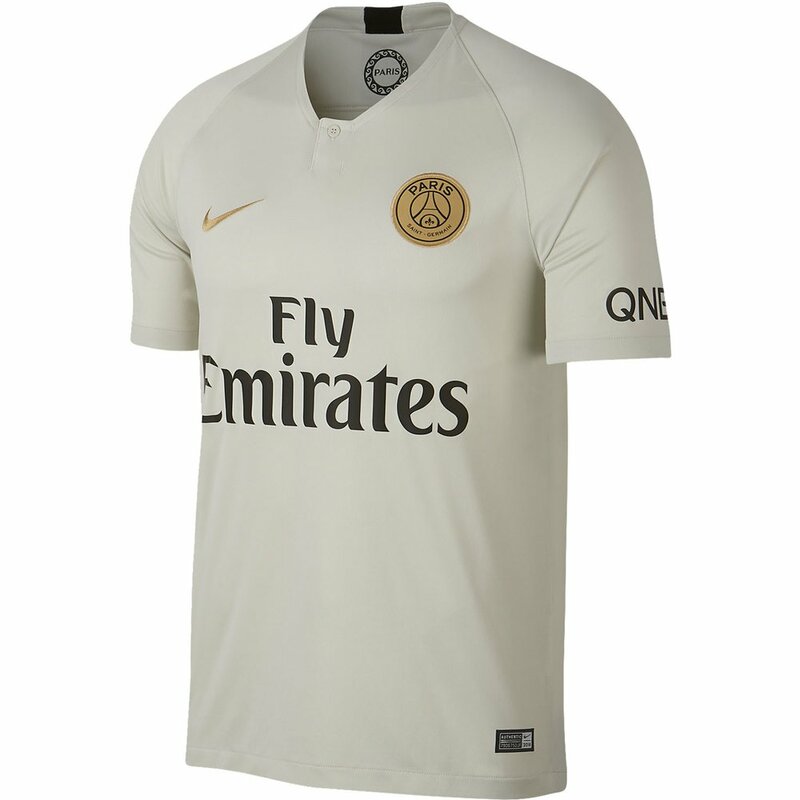 Nike PSG Away 2018-19 Stadium Jersey - Available at WeGotSoccer!